Save time, resources, and costs while investing in the workforce of tomorrow. The Northern Virginia Educating Youth through Employment (EYE) program is a summer initiative that recruits, screens and matches youth ages 18-24 with professional opportunities in the private sector and other area businesses. These young adults are required to attend intensive training workshops before and during their work experiences. The EYE program offers local youth more than just a summer job, but rather an exciting, professional opportunity with training that will allow them to explore a career path that matches their interest. SkillSource, in coordination with Fairfax County’s Department of Family Services, has successfully implemented this employer-driven summer employment initiative since 2006. By contributing to a young worker’s development at an early age and highlighting your company now, the possibility increases that they will be one of your company’s future successful employees. Save time, resources, and business costs. Marketing for employees takes a lot of investment away from your bottom line. Employers who participate in the EYE Program conduct interviews with young workers who have already been recruited, pre-screened, and prepared for a summer employment opportunity. How can we enhance our reputation as a socially responsible organization? In today’s economy, jobs are especially hard to come by for young adults. Teen employment opportunities have dropped drastically as increasing numbers of mature workers are returning to the workforce. You have the opportunity to be recognized as a company that offers young workers their first positive employment experience as a step to becoming successful future workers. Provide a tax-deductible payment of $600 to support the program’s operations including recruitment and screening of a young worker specifically matched to your organization, ten hours of workshop training, ongoing assistance from Employment Specialists, and an EYE Awards Ceremony for employers, young workers and their parents. After interviewing the selected individual, hire a young worker with a recommended hourly wage of $8.00 per hour for up to eight weeks. If you cannot hire an EYE participant for the summer, sponsor one to work in a professional environment by providing a tax-deductible sponsorship payment of $2,750 to cover the $600 program operation costs and a young worker’s salary during their employment experience. Sponsors receive updates on how the young worker they have sponsored is doing and also are honored at the Annual EYE Awards Ceremony. Not able to hire or sponsor but still want to contribute to the EYE Program? Provide a tax-deductible contribution of any amount. What topics do the training workshops cover? What types of jobs can EYE participants do? Past participants in the EYE Program have worked as an administrative assistant, electrician’s assistant, computer lab /IT assistant, social media liaison, event planning assistant, among many other pre-professional opportunities. Virginia Career Works Northern Region only requires a meaningful employment experience for each young worker that pays at least the federal minimum wage.  What other support does Virginia Career Works Northern Region provide? Employment Specialists will provide ongoing support and assistance during the EYE Program through periodic contact with both the employers and young workers. Our Employment Specialists contact each employer and young worker on a regular basis throughout the program to help ensure that both have a successful, positive experience.